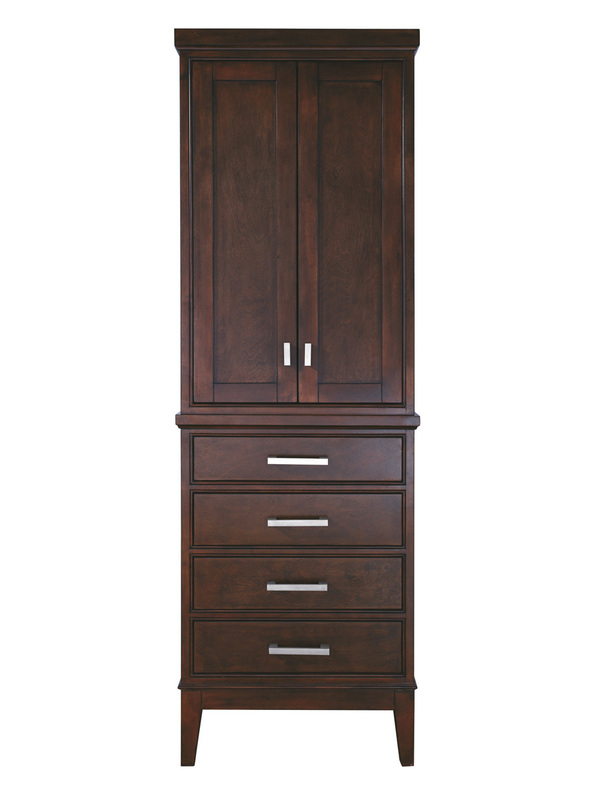 The Madison 37 in. 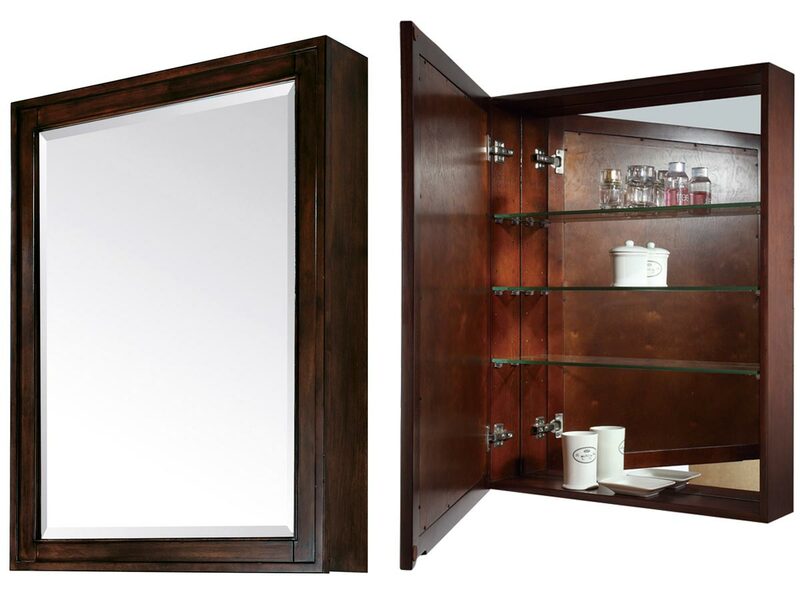 vanity combines function with style. 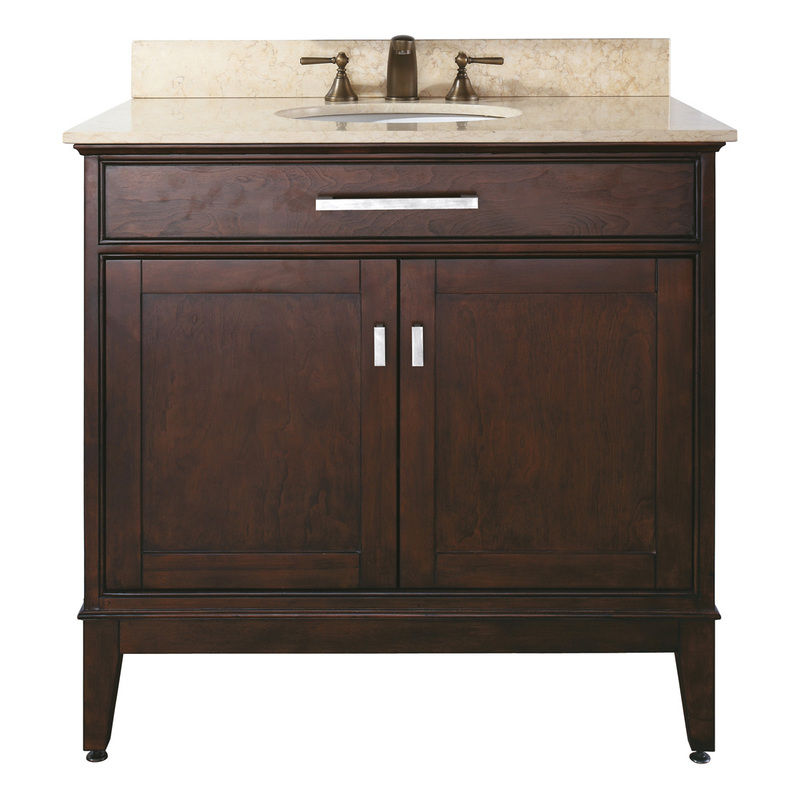 The vanity is designed with strong attractive lines and finished in Light Espresso with brushed nickel hardware. 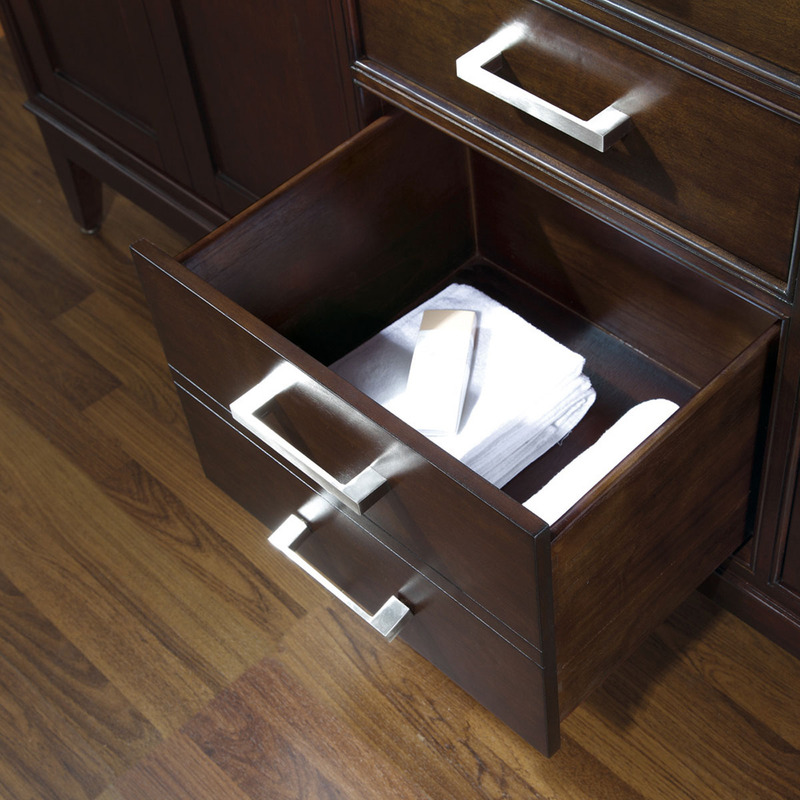 It is constructed of solid poplar wood and veneer with soft-close door hinges. 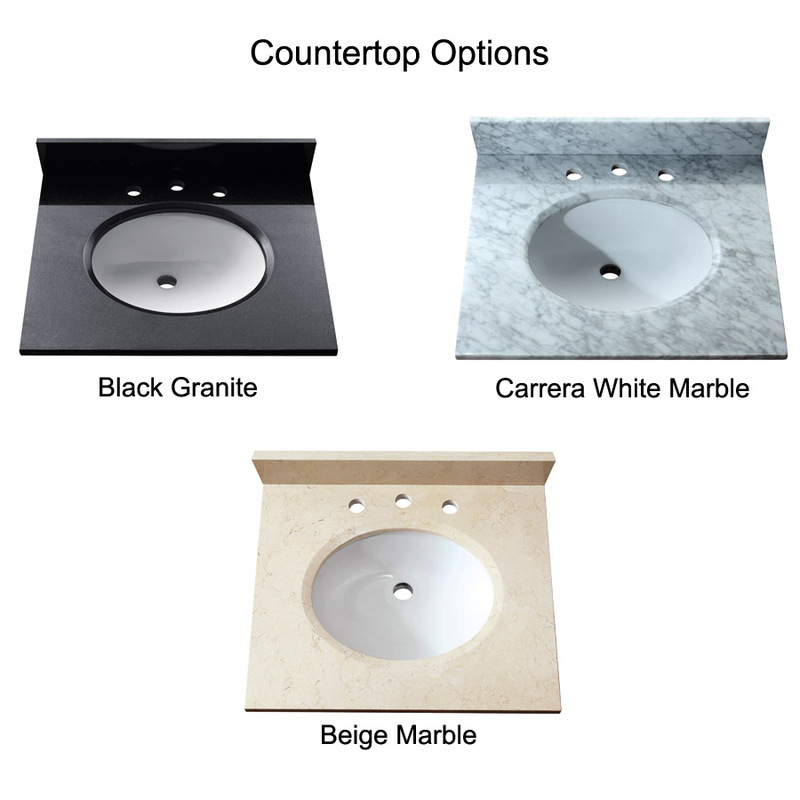 Three top options with white vitreous china undermount sinks. 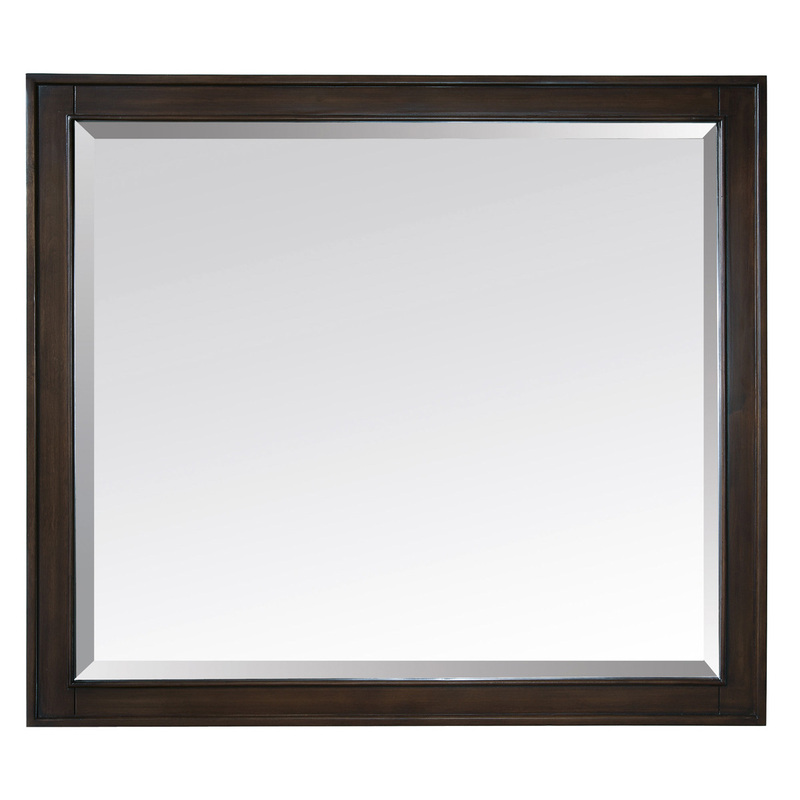 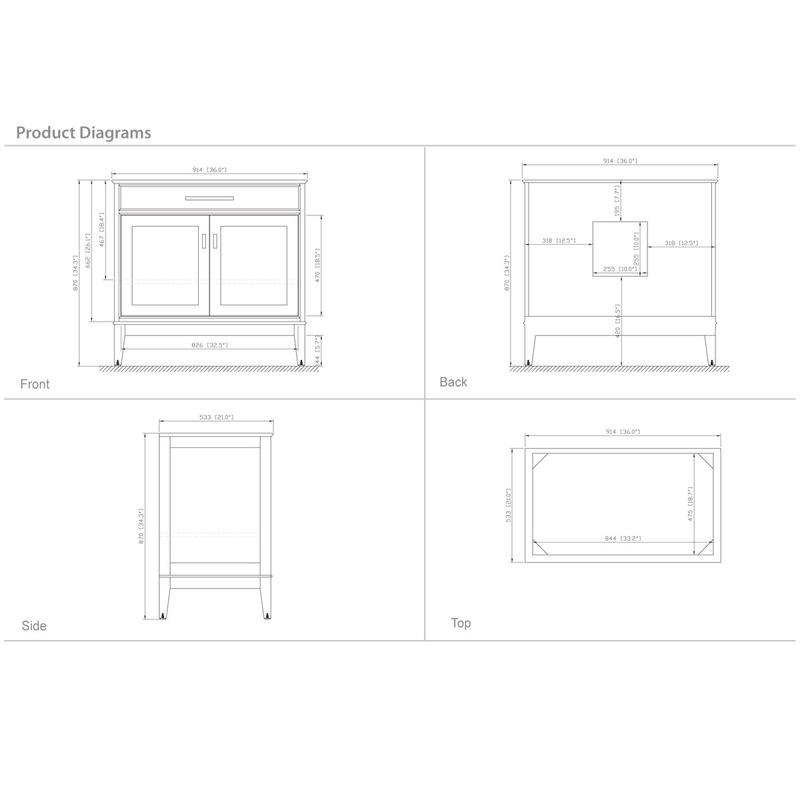 Also available is a matching mirror, mirror storage cabinet and linen tower to complete your bathroom.